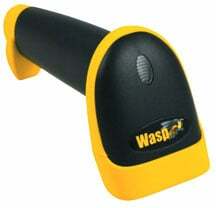 Wasp WLR8950 - USB Kit, 1D Long Range CCD Scanner. Includes USB cable. Quickly and accurately add data to your active document, spreadsheet, or database. The Wasp WLR8950 Long Range CCD barcode scanner is a cost effective, easy to use, long range scanner designed for retail, point of sale, or any repetitive application where time and accuracy are important. With an ABS plastic construction and pistol grip design, the WLR8950"s lightweight, ergonomic form factor makes it comfortable for prolonged daily use. Durable construction allows for multiple 6" drops to concrete "" easily eliminating downtime due to breakage. The Wasp 633808121662 is also known as Wasp Bar Code	633808121662	.